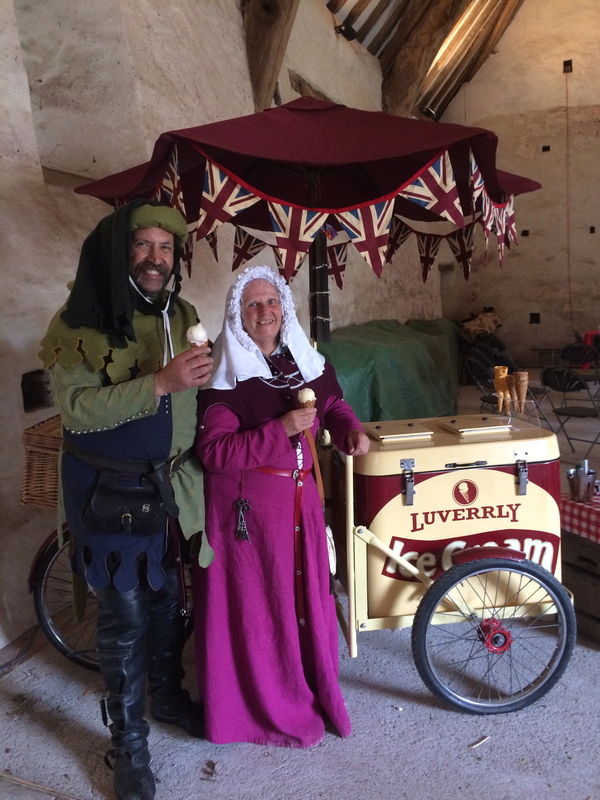 Luverrly was originally from Somerset and operated from 2014 till 2018 when due to retirement was sold off to join Treats on a Bike from Gillingham in Kent. 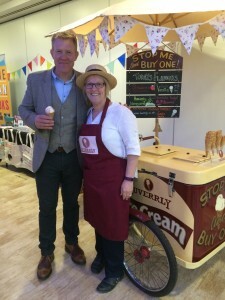 The current owner Kevin has operated his Ice Cream company since 2015 in the Medway Towns the Kent Coast and surrounding areas. When I first started up I was really impressed with Luverrly. I used to look up their site and see what they offered the quality and the presentation. This enabled myself to focus on setting up my own company here in Kent. Along with ideas learnt from Luverrly and other companies I created Treats on a Bike. When the company came up for offer I just had to buy it as it was well established and a terrific representation of a way of life a true country name and feel. It would have been a shame to just let it fade away to oblivion. So here it is re born now in Kent serving up delicious Kentish Ice Cream from a well loved and popular Dairy in Deal along with the expertise of Kevin and his team from Treats on a bike. We will be up dating this website to correspond with functions and weddings in the next few months showing off ” Lullabelle ” and all the other additions we aim to add to the fleet of bikes, trikes and carts. 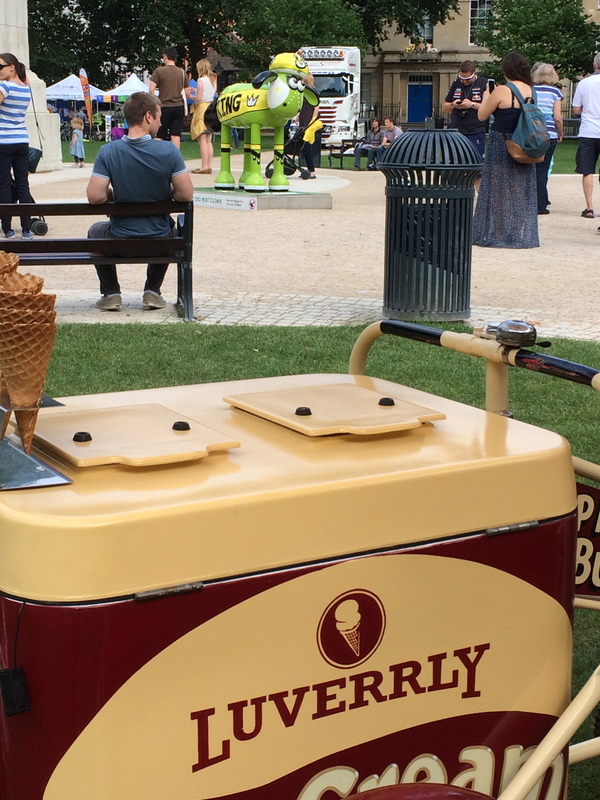 Luverrly Dairy ice cream was launched in 2014. 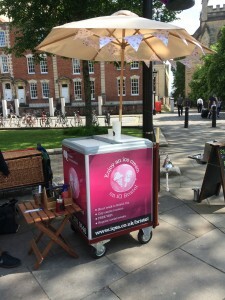 In 2015 we added an ice cream cart to our British, Pashley, hand-built ice cream bicycle. 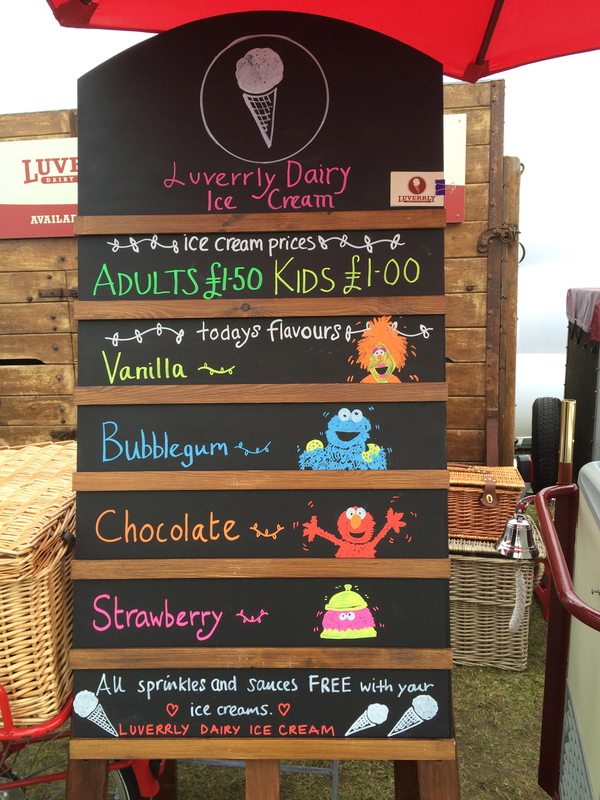 Luverrly Dairy ice cream is based in the West country and takes its name from the Somerset way we say ‘lovely’ .....luverrly. 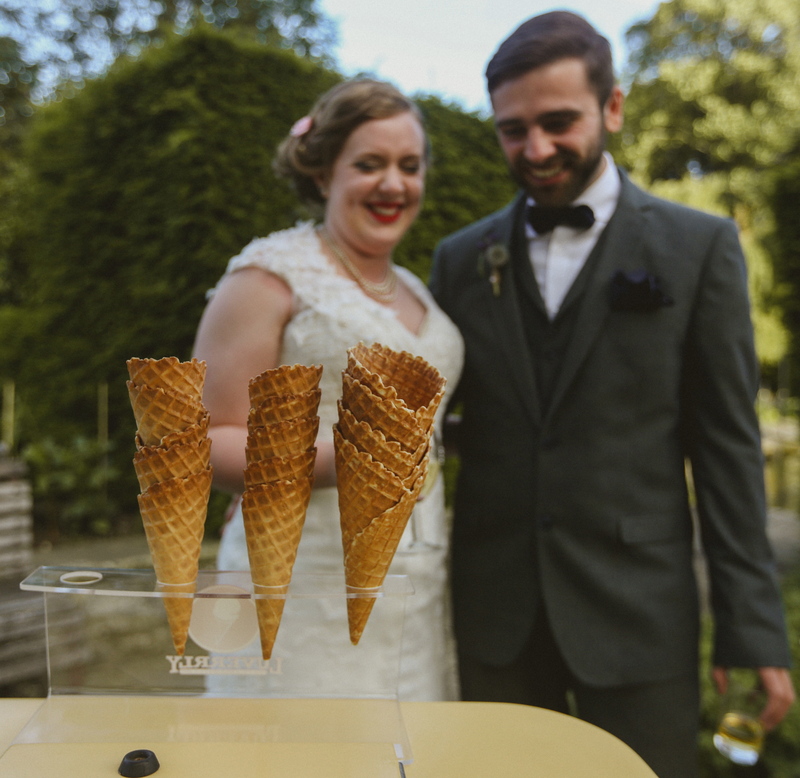 We serve award-winning dairy ice cream and sorbets across the West Country, sourced from local ice cream makers. 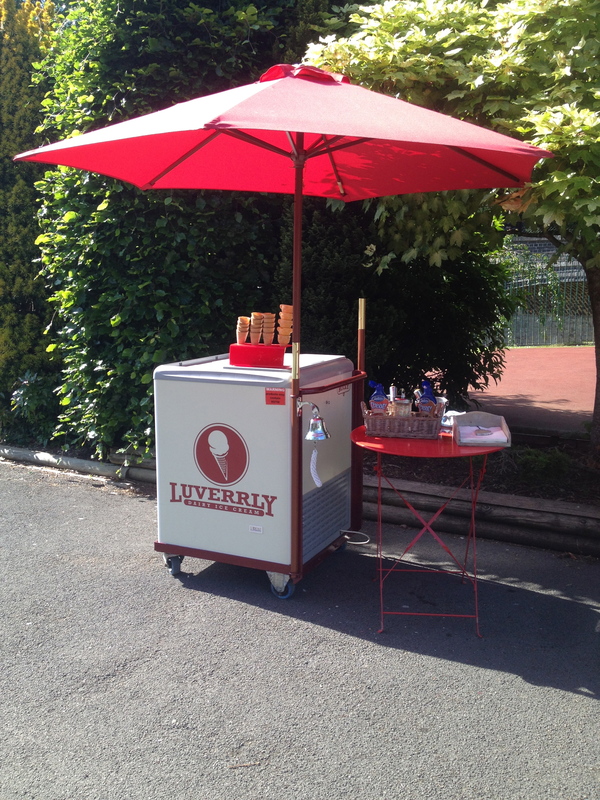 Our Luverrly Dairy Ice Cream bicycle and cart will help you to hold a happy and memorable special occasion or event. We are 5 star standard credited by Bath and North East Somerset Council. Traditional ice cream bike hire for your wedding. Luverrly’s ice cream bicycle or cart will add a special touch to your wedding or civil partnership. ‘Lulabelle’ is a favourite she is a 1950’s original vintage Pashley. We have an all-inclusive price list for you to look at below but we are always willing to tailor our services to suit your special day. Our A board advertising your flavour choices will be personalised with your names. We can set up indoors or outdoors to suit your venue and the great British weather! 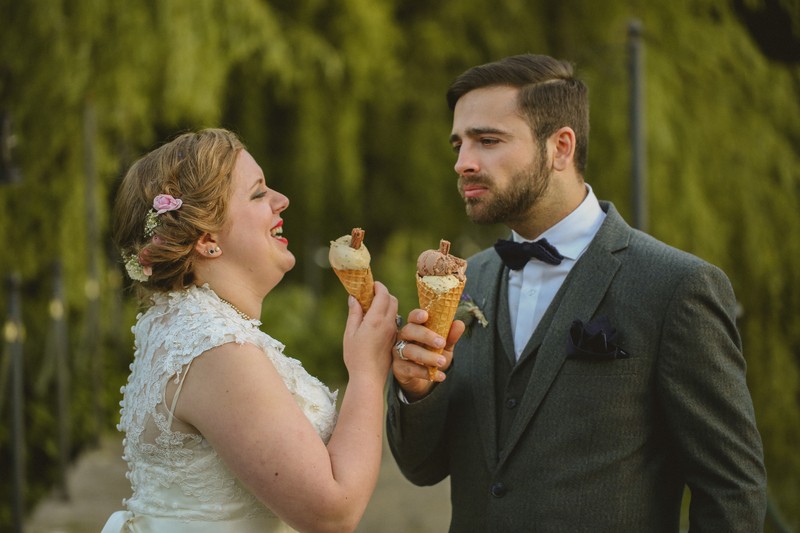 We understand that it’s your day, so we will listen to you and we can be flexible on flavours, toppings, timings and the decoration of the bicycles. “Thank you so much for being a part of Kelly and Ahmad’s wedding day last Saturday. 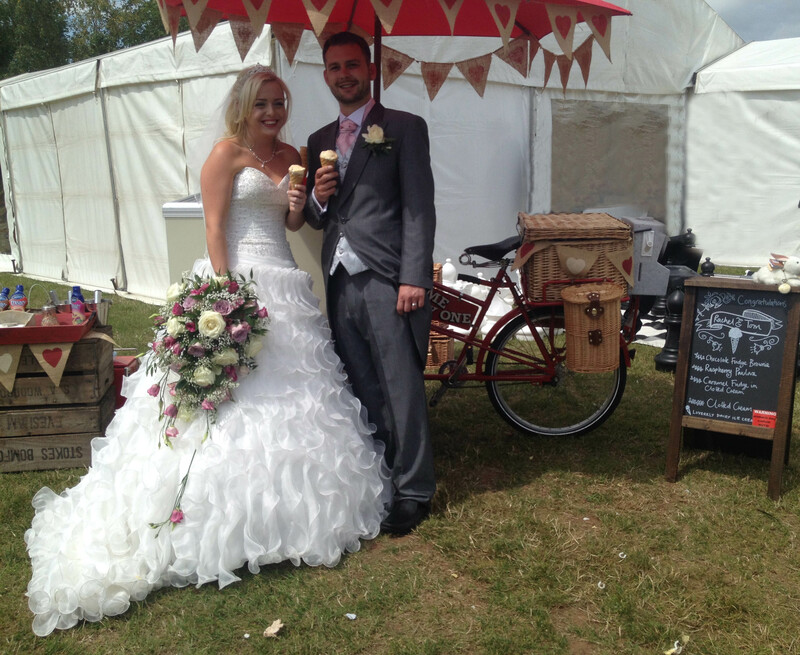 Your ice cream was a big hit with our guests and we had many compliments.” Sally. “I just wanted to thank you for the amazing ice cream on Saturday. 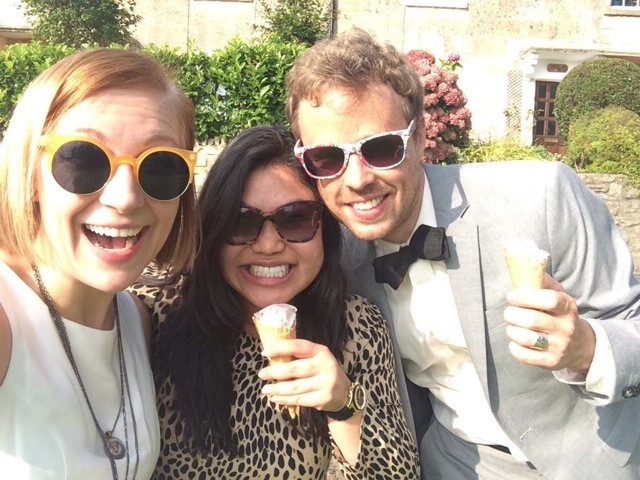 Our guests have been raving about you and the ice cream since. We can’t thank you enough for adding to our special day!” Best wishes Louise and Gökhan. 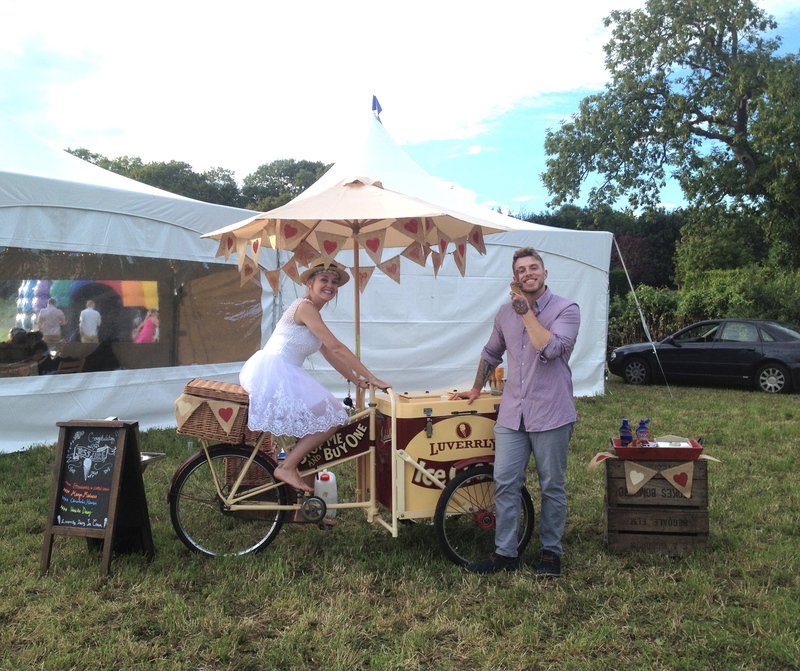 Hire of our ice cream bicycle or cart. 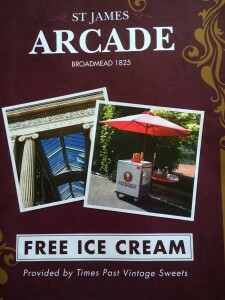 We are happy to serve any ice cream of your choice please contact us to discuss options. All bookings are only secured with a £50.00 non-refundable booking fee with the balance due to be paid 4 weeks before the wedding or event. Note : Bookings cancelled 28 days before the hire date incur 50% of the full hire charge. Bookings cancelled within one week incur 75% of the full hire charge, we will always endeavour to accommodate clients on an alternative date but this cannot be 100% guaranteed. We will arrive around 45 mins to an hour prior to serve time to set up. If you wish us to arrive any earlier we are more than happy to do that but the extra time will be charged at £35 an hour. If you wish to have extra serving time over the standard 2 hours included we are more than happy to provide this. Each extra hour required will be charged at £35 an hour. We currently have an original 1950s Pashley ice cream bicycle and one ice cream cart that are available for all events. This could be fun days, fetes, festivals, sports days, tournaments. We will sell direct to the public and give you an agreed percentage of the day’s takings . 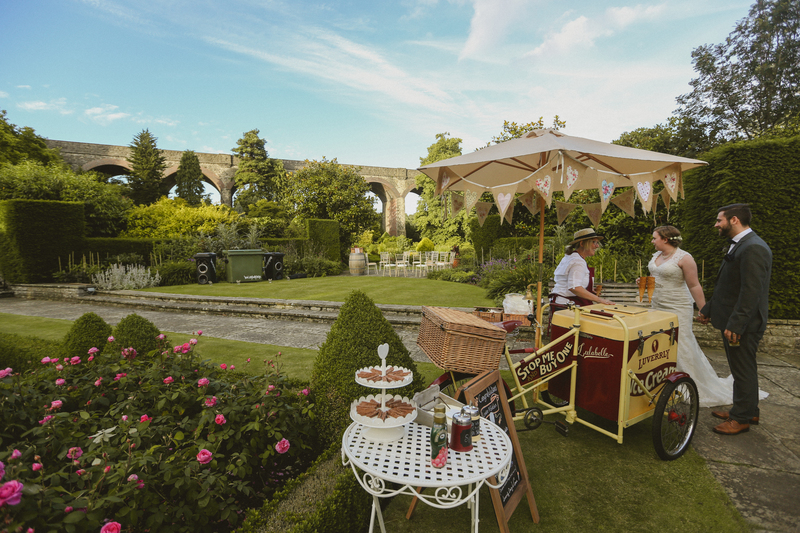 We can set up indoors or outdoors to suit your venue – or the great British weather! We are fully insured and have public liability certificates and risk assessments for event organisers. We are also registered with Gillingham Council food and trading standards. All bookings secured with a £50.00 non-refundable booking fee with the balance due 4 weeks before the event. Bookings cancelled 28 days before the hire date incur 50% of the full hire charge. Bookings cancelled within one week incur 75% of the full hire charge, we will always endeavour to accommodate clients on an alternative date but this cannot be guaranteed. We will arrive 45 mins to an hour prior to serve time to set up. If you wish us to arrive any earlier we are more than happy to do that but the extra time will be charged at £35 an hour. Make your company stand out at events with our special bicycle or cart that can be branded with your company logo and livery. 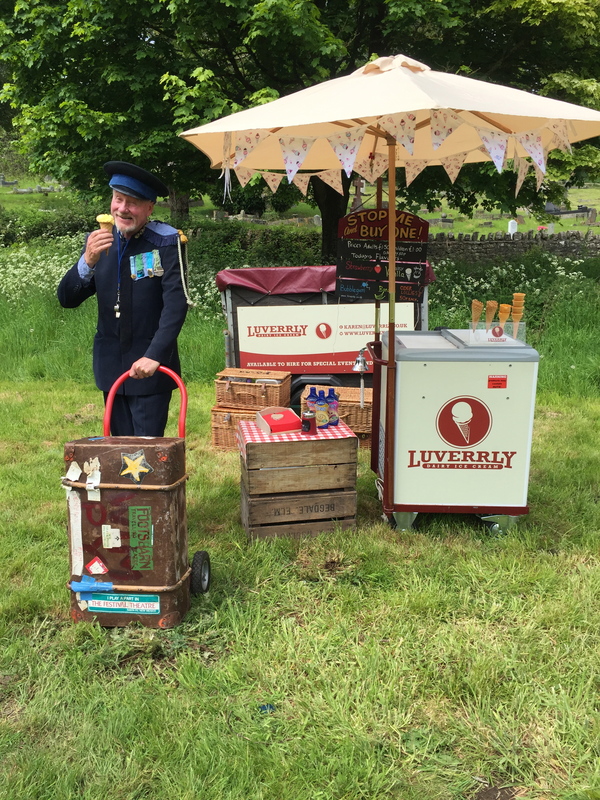 Our ice cream bicycle, ‘Lulabelle’ is available for corporate hire as is our cart ‘Rocky’ but please remember they are currently branded with the Luverrly Dairy Ice Cream signage. Rocky has an option to use plain magnetic panels that can be branded with your company logo or livery or kept plain. Our bicycle and cart are available for use on TV and film sets. 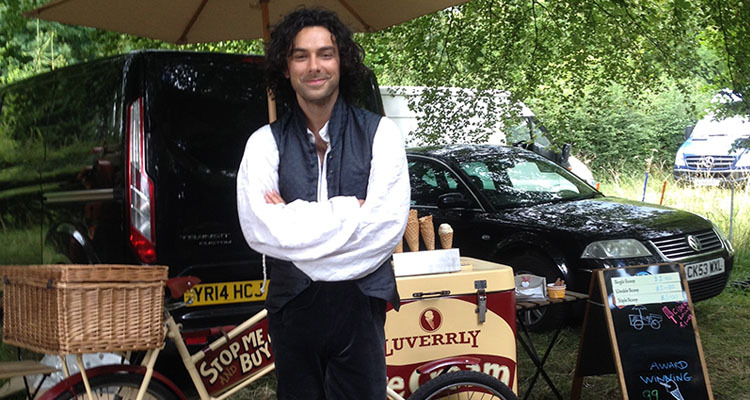 Our current vintage bicycle ‘Lulabelle’ enjoyed serving ice creams to the cast and crew of Poldark during filming in Somerset. Please contact us if you have any questions or would like to hire our cart or our vintage bicycle. “Thank you so much for yesterday. You were wonderful and it certainly brightened up our rainy day.” Regards Dawn. 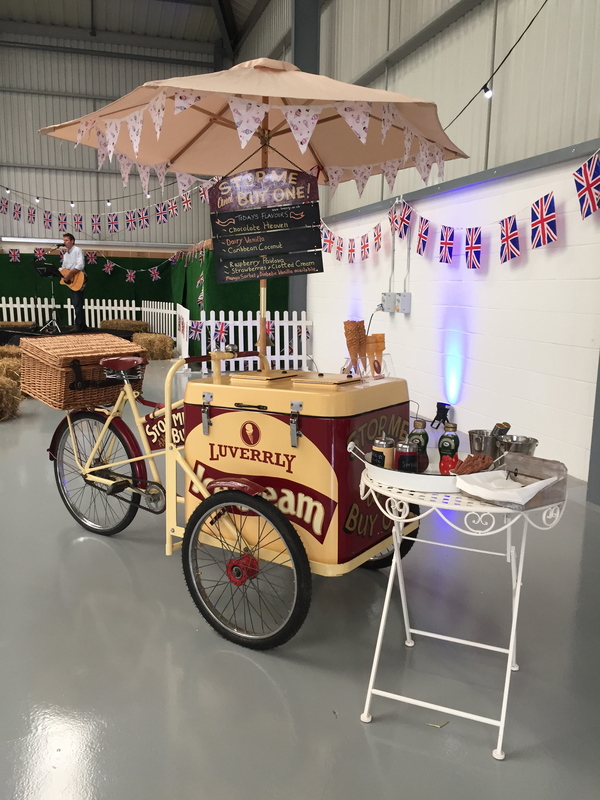 The luverrly ice cream we are proud to serve at our events and special occasions is sourced from local ice cream makers Solleys’sfrom Deal near Dover. We are very happy to serve any flavours of Solley’s ice cream of your choice.We can supply ice cream to suit most individual dietary needs eg diabatic ice cream, gluten free and vegetarian, please contact us for further details. 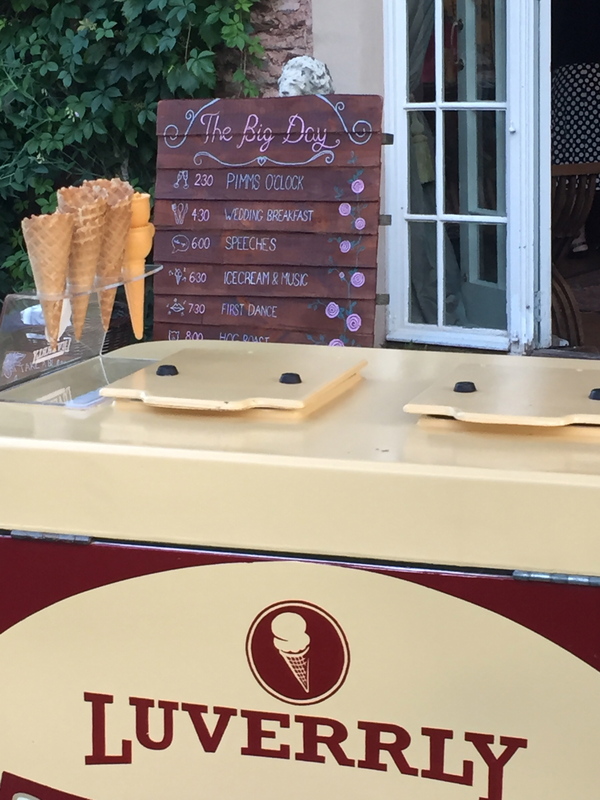 We offer a choice of scoop sizes at any event : the single scoop is standard, The Doubledecker (double scoop) is the next size up. 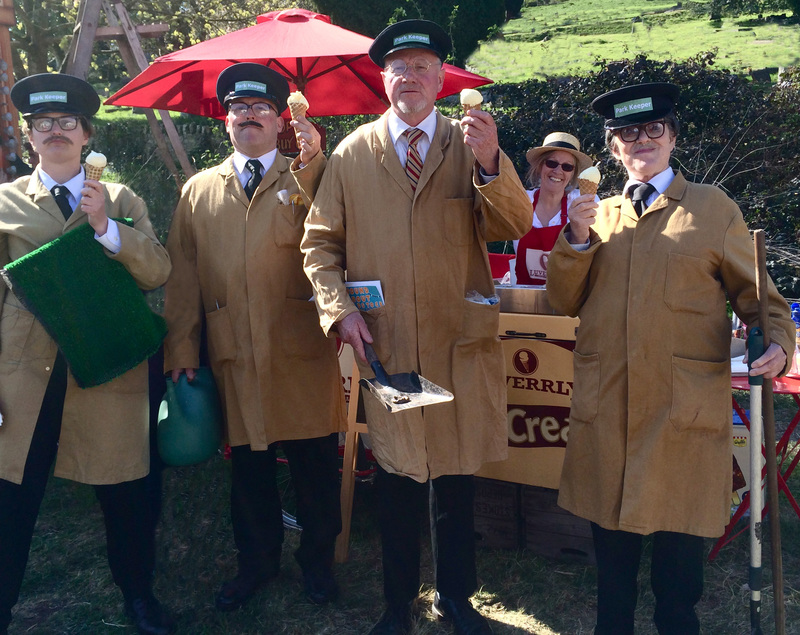 The multi award-winning dairy ice creams and sorbets are all made on a Kent Dairy Farm. They produce many amazing flavours of real dairy ice cream and six flavours of sorbet. Here are some of the popular flavours we have sold this year : Wild Strawberries and Cream, Kentish Honey and Honeycomb, Hot Chocolate, Salted Caramel, Rhubarb Crumble and Mango Sorbet. There are also many new and exciting flavours added each year. 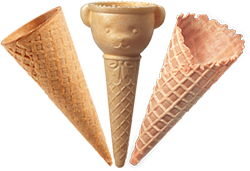 To compliment our luverrly ice creams we serve them in traditional waffle cones or tubs for adults and a choice of a wafer teddy bear cone or sugar cone for children. There is also the option of the traditional flake for a classic 99 ice cream. Sprinkles and sauces are complimentary. Sauces come in several flavours including strawberry, toffee and chocolate. Sprinkles include traditional hundreds and thousands which are a big hit with the children …….and adults!